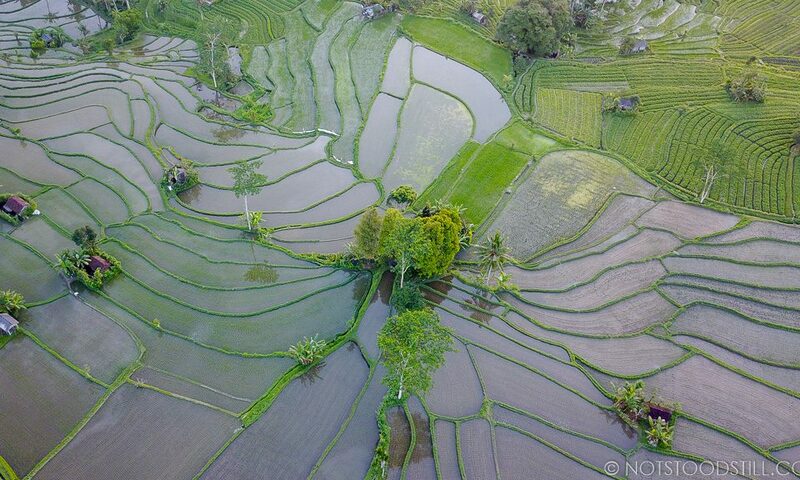 The scenic village of Senaru is one of the gateways to climb the mighty, Mt. 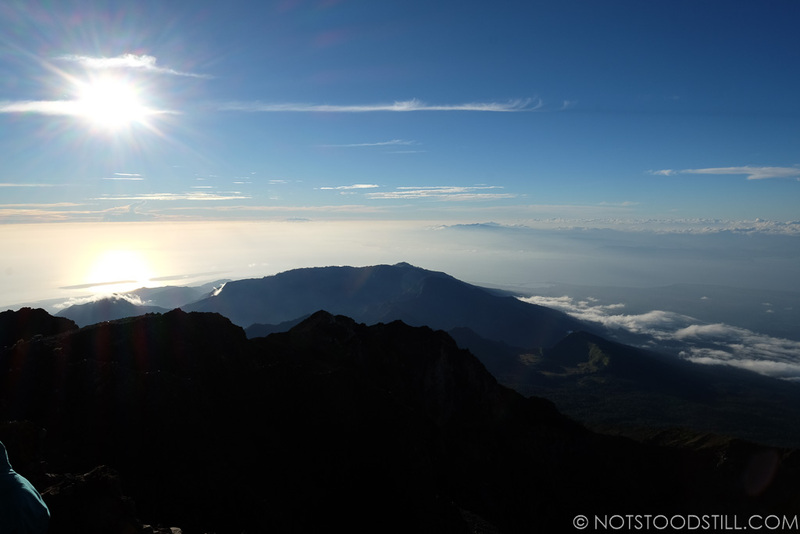 Rinjani – Lombok’s tallest volcano peak. 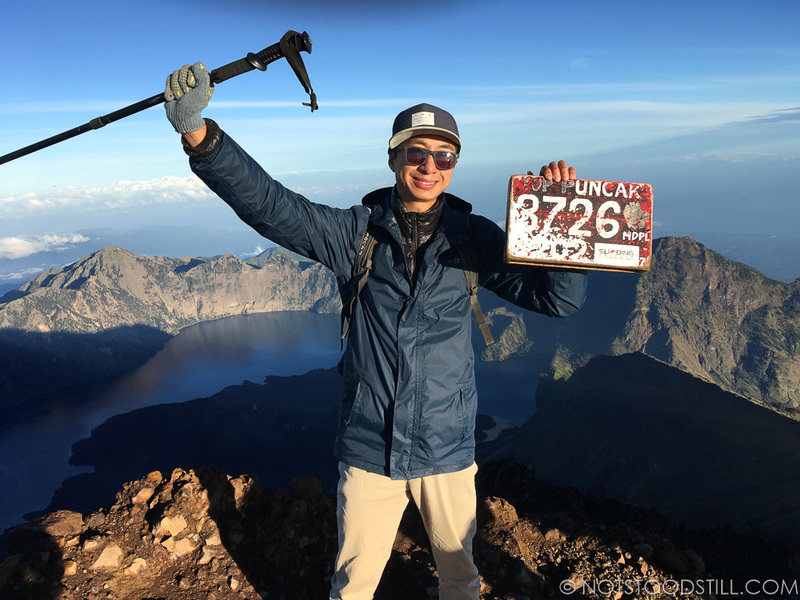 After a relaxing stay on the Gili Islands, Jimmy decided it was time for something a little more energetic and to do some trekking. From the port on Gili Meno, we boarded a public ferry to Bangsal pier. Tickets cost around £1 (20,000) and the journey is around 45 minutes. 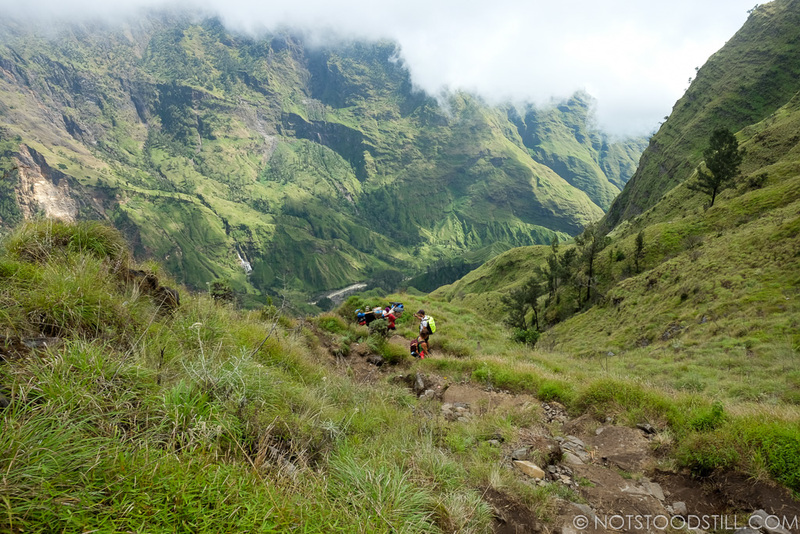 Make sure you arrive in good time as this route is popular with local people going to collect supplies from Lombok. Similar services bound for Lombok are available on the other Gili Islands. 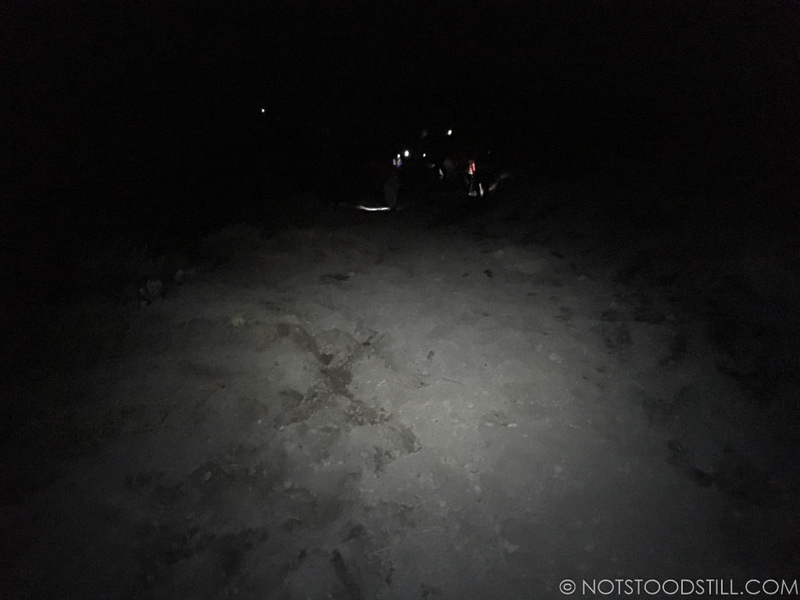 We had heard a few horror stories about the port at Bangsal, with people being overcharged by people carrying their bags and being mobbed by enthusiastic taxi drivers. 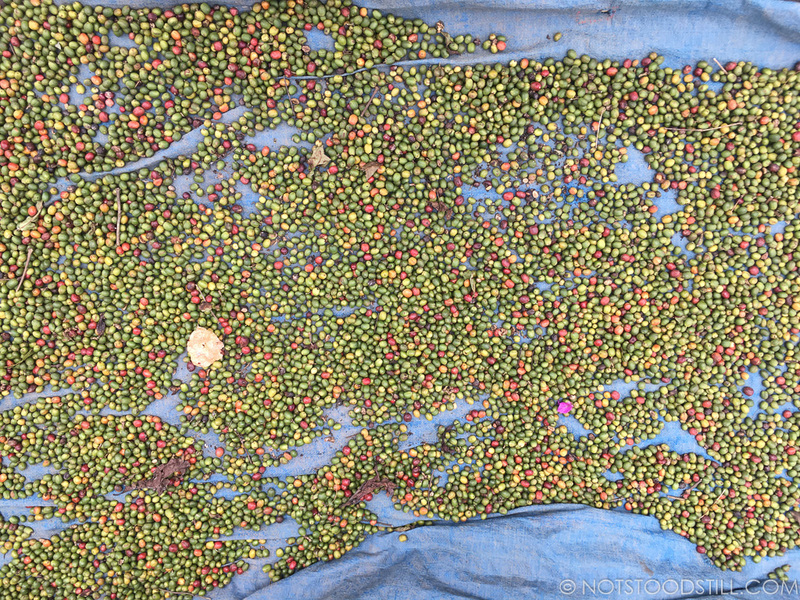 The port is busy, but common sense prevails; don’t give your bag to anyone, you can carry it off the boat itself and we walked to the shops at the port before bartering for a taxi to Senaru. The fare was 300,000rp (£18) for the 2 hour drive, with 350,000rp given as the starting price. Our driver didn’t speak English, but his son was with him to translate and even helped us to buy a local SIM card. It definitely wasn’t as bad as we had anticipated. Alternatively, Uber can be used if there are available cars around and you have access to mobile internet. The service is new and more popular in Lombok’s capital, Mataram. 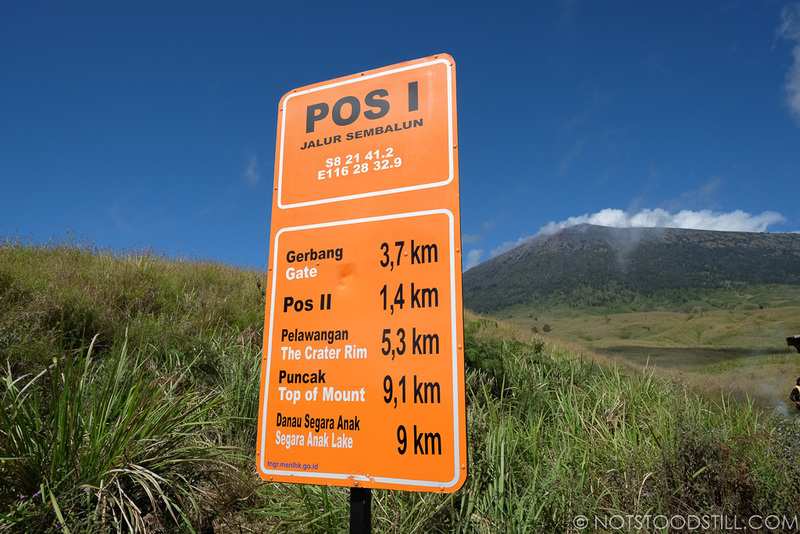 Lombok has an international airport, 78 miles south of the island and will take approximately 3 hours drive to Senaru. The main attraction is the climb to the summit of Mt. 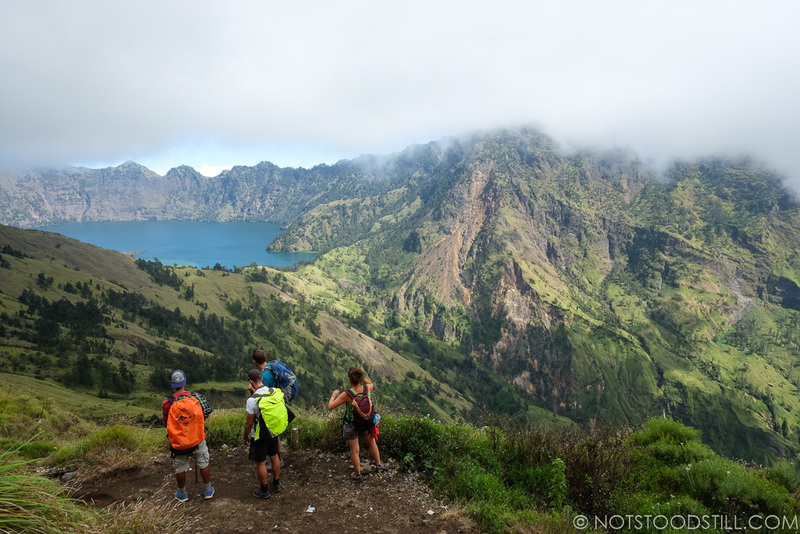 Rinjani, which you can do on a 1 night, 2 day trek or the 2 night, 3 day trek (which Jimmy did). There are plenty of agencies offering these excursions, but you should do a thorough check to make sure you pick the right level of comfort. Meals and water are normally included in the price, but it is advisable to bring along plenty of snacks for energy. The weather is also cold as you ascend, so dress in layers and make sure you take a good waterproof jacket, gloves and a hat (a head torch is also required for the overnight trek to the summit). 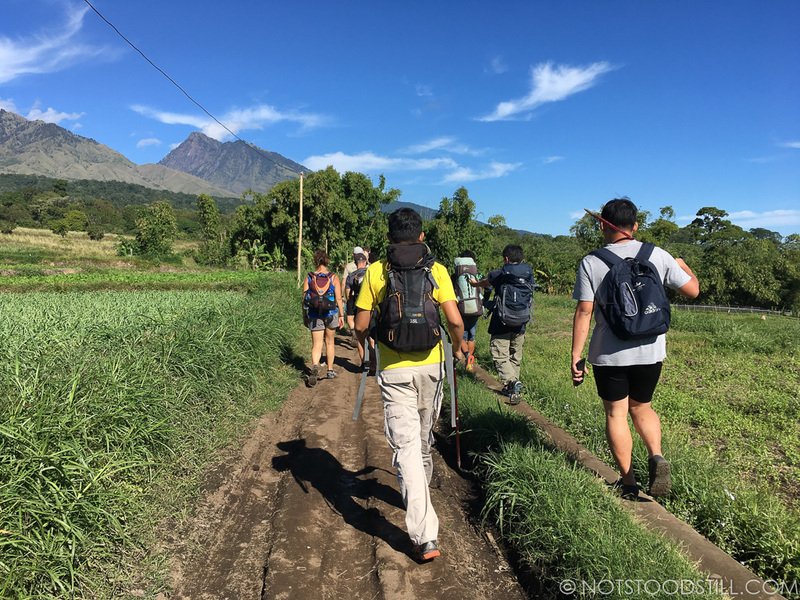 The trek begins at Sembalun, an hour from Senaru. 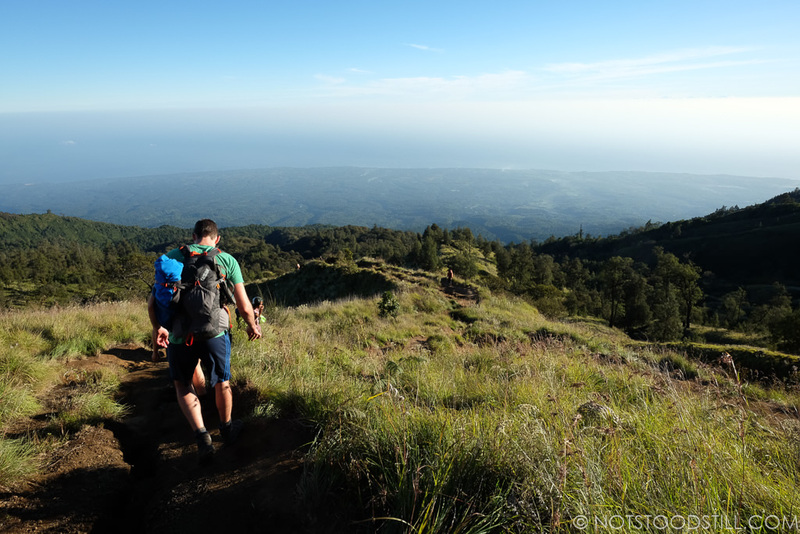 A reasonable level of fitness is required especially at these high altitudes – the terrain gets steep as you ascend the mountain and around the crater rim. 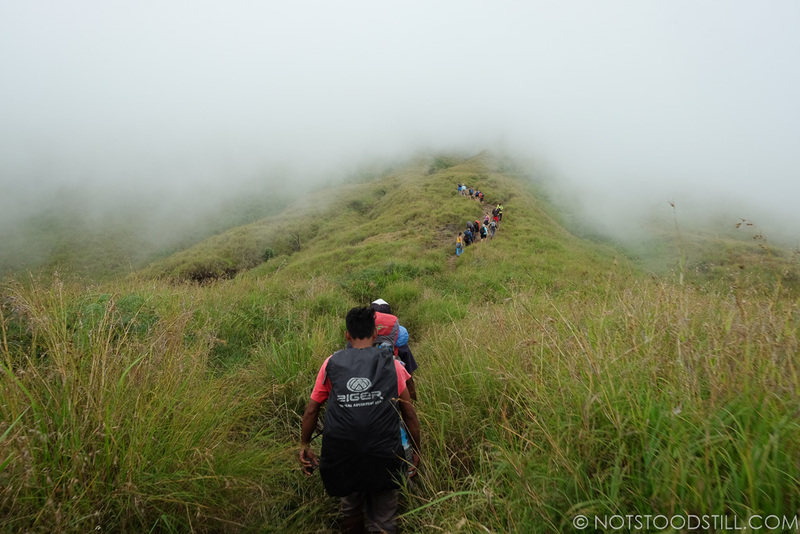 The descent is as equally challenging and there can be greater pressure on the knees – take steady strides and use a walking stick will help. 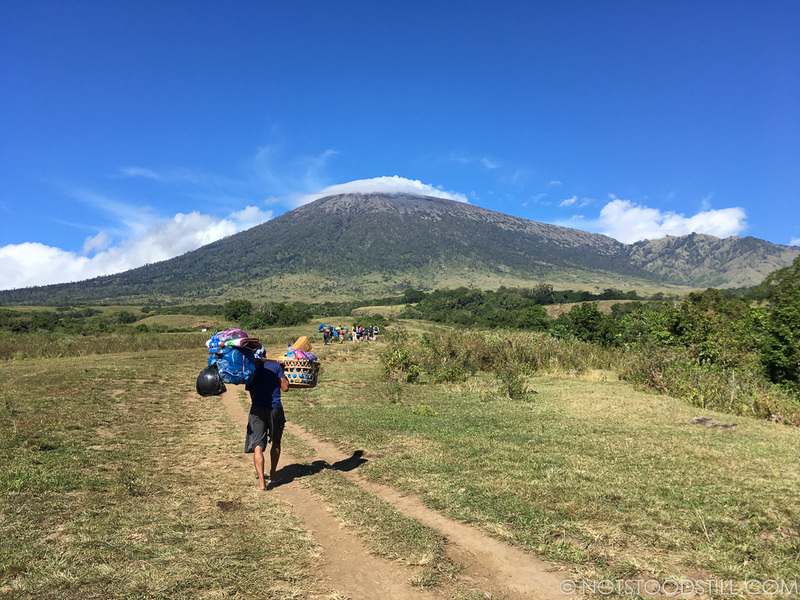 The start of Rinajni trek began at the village of Sembalun, an hours drive from Senaru (your trekking company can provide a pickup – do check this is included). 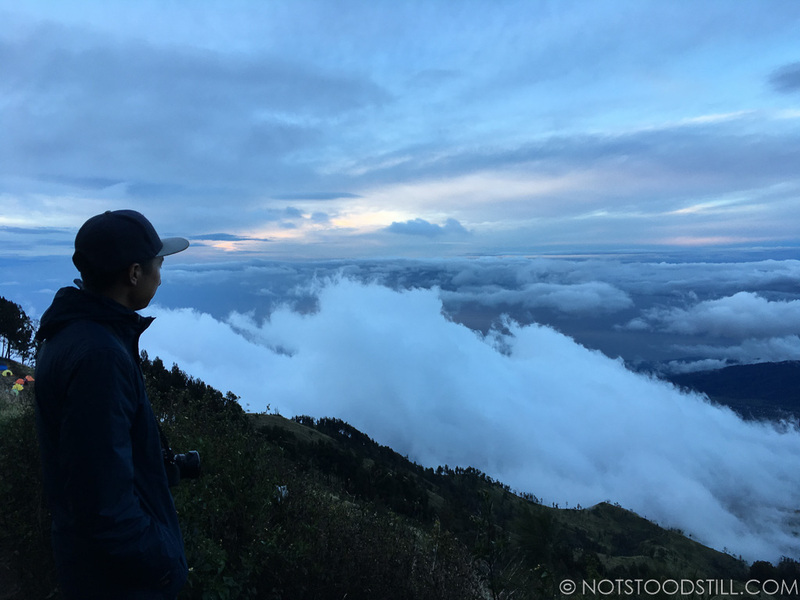 After signing up at the rangers office, we slowly ascended to the first basecamp which was at 2600m above sea level. 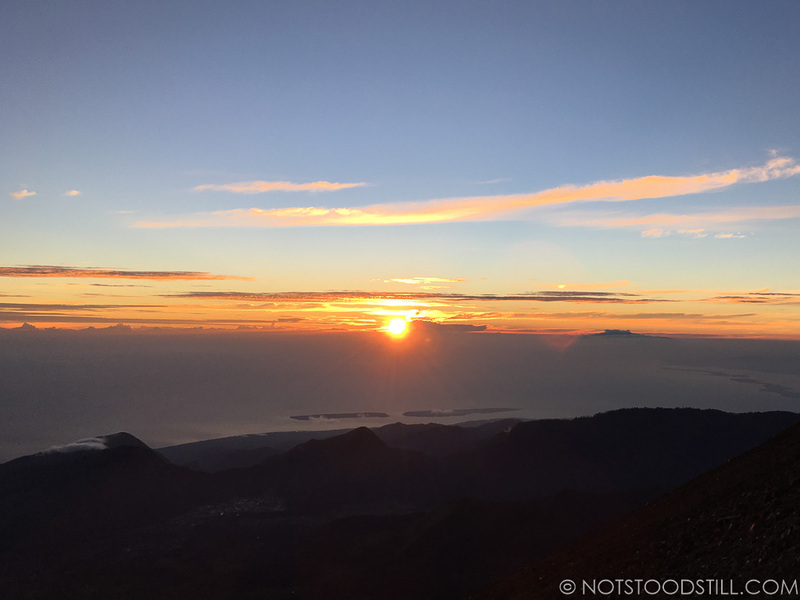 Here, Jimmy spent the first night on the crater’s edge before getting up at 2am for the final climb to the summit (3726m). The weather can change very quickly on the mountain. 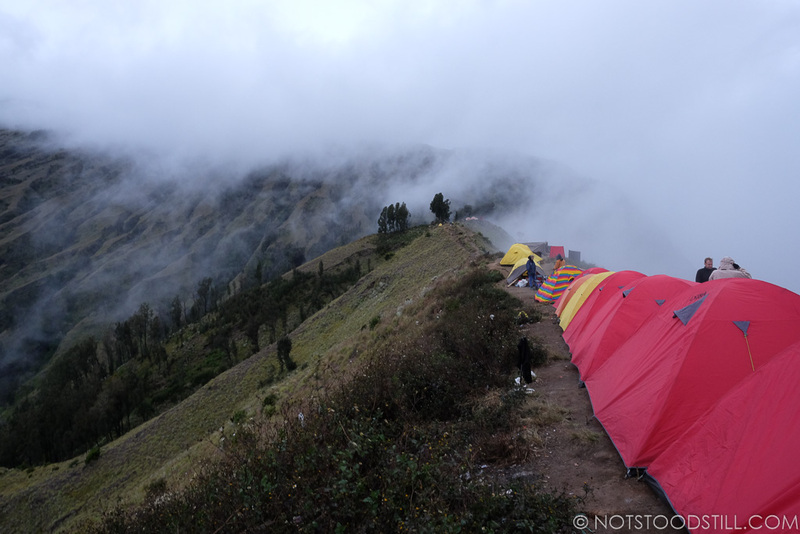 First basecamp at 2600m, right on the craters edge. Time to get up, 2am for the hike to the summit for sunrise. The wind was relentless and the colder climate can be felt on reaching the summit, but the view at the top was rewarding and spectacular. 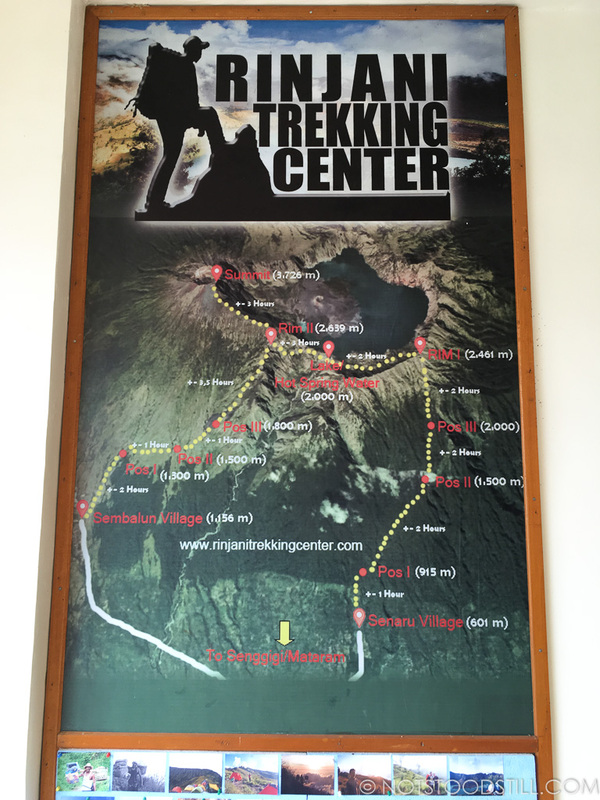 Afterwards, Jimmy return to the base camp, had breakfast and continued hiking to the crater lake where there are hot springs. 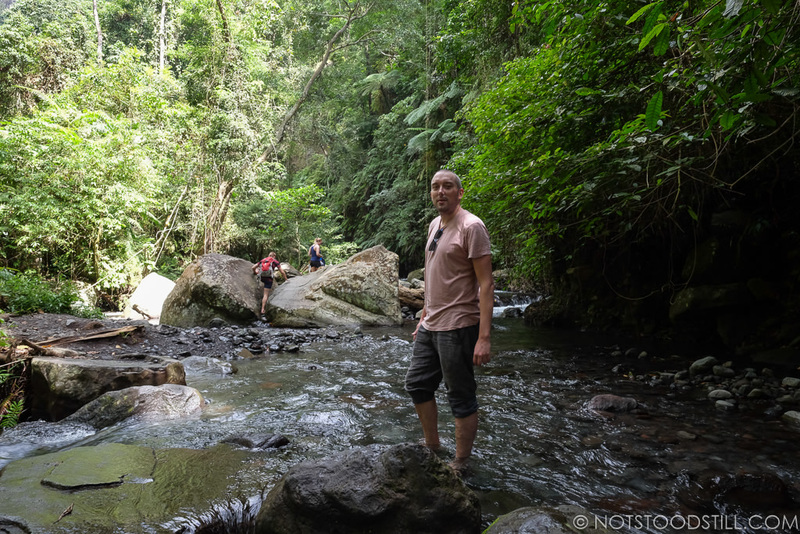 The small pools were at a toasty temperature, a delight for Jimmy and his group to soak those tired leg muscles. 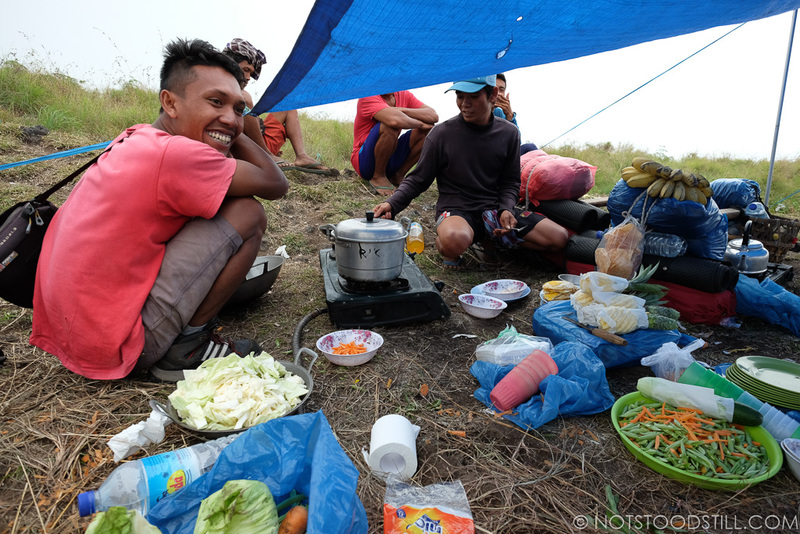 He spent the second night at a different campsite, closer to the path down to Senaru where the trek finishes. 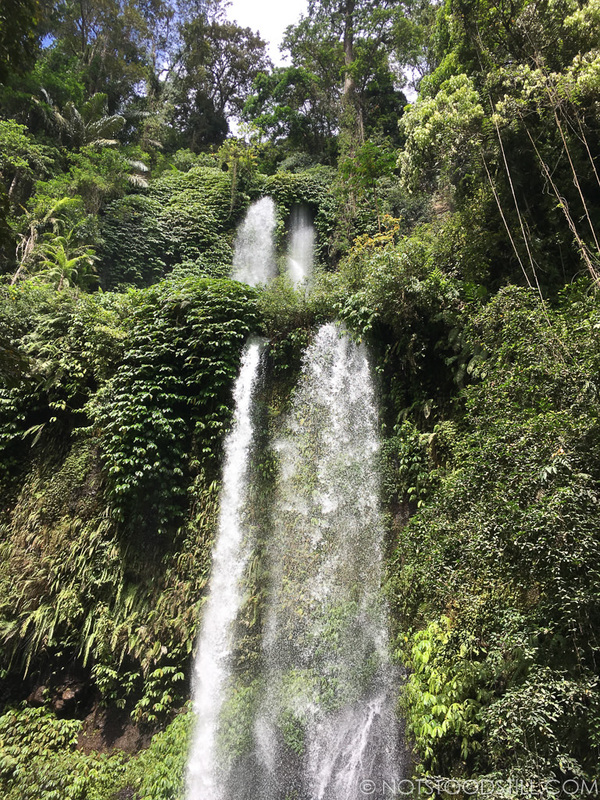 If you are not feeling up to the climb, or like me, your knees don’t like it, there are two beautiful waterfalls you can visit from the town called Sendang Gile and Tiu Kelep. 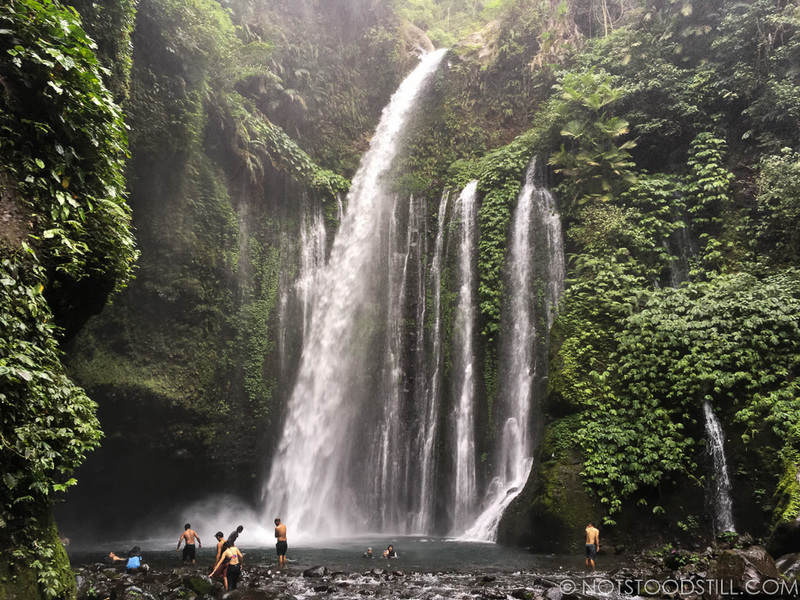 Entry is 10,000 which covers both and the walk to the first waterfall is around 20 minutes at a leisurely pace from the guesthouse. The second is around 30 minutes from the first and sees you crossing the river. I did this walk in flip flops and it was fine. If you are struggling to get over the river, there are a group of young boys willing to help and they don’t expect any payment, but a couple of thousand is a nice way to thank them. 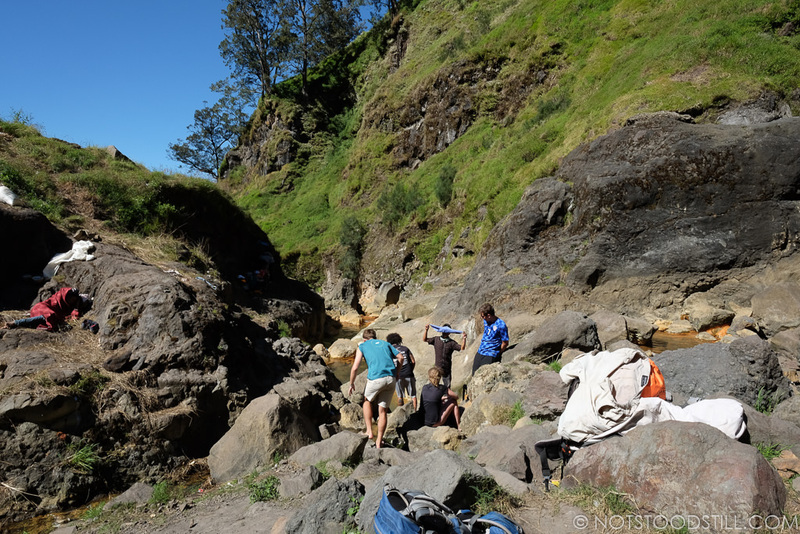 Seneru is a small town, popular with people wanting to make the climb up Rinjani. 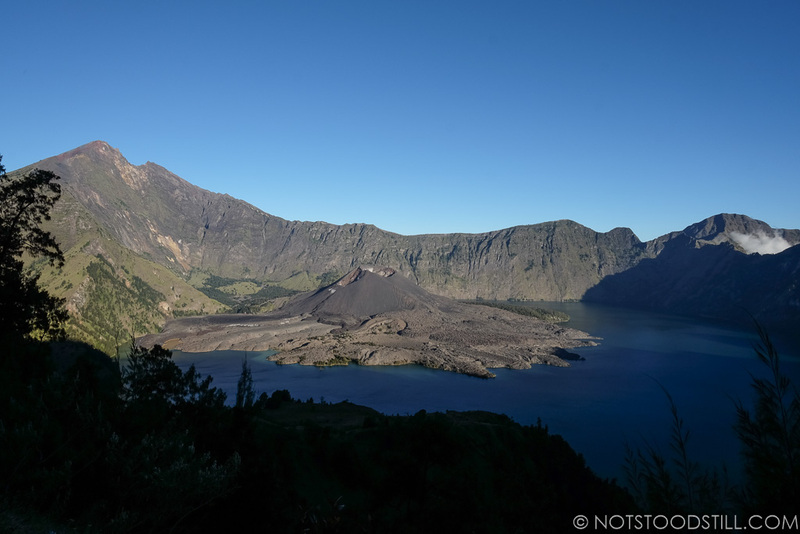 We stayed at the very comfortable Anak Rinjani Guest House, a family run place with its own restaurant and opposite a small shop for snacks and drinks. 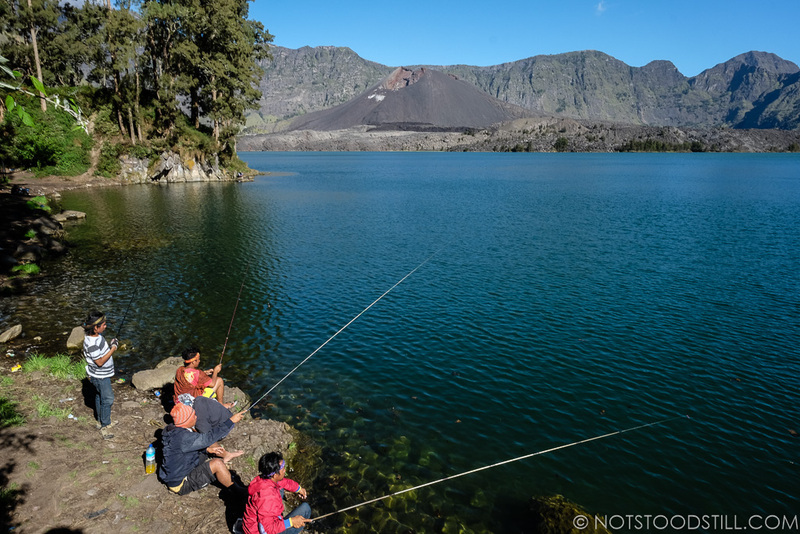 There are several warungs (local resturants) up and down the main road if you do fancy a change from your accommodation, but the food at Anak Rinjani was both tasty and well priced and we ended up eating most of our meals there. Traditional dishes such as nasi goreng and mie goreng will cost around 15,000. Buy your ferry tickets directly from the terminal on the Gili Island to pay the correct fare. 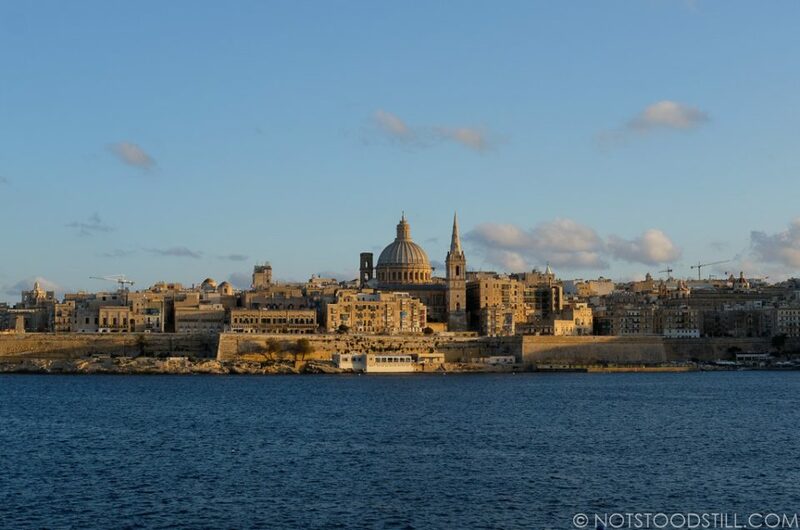 Check the departure time the day before and arrive around 30 minutes prior to departure. A firm ‘no’ to touts at Bangsal is usually enough to be left alone. 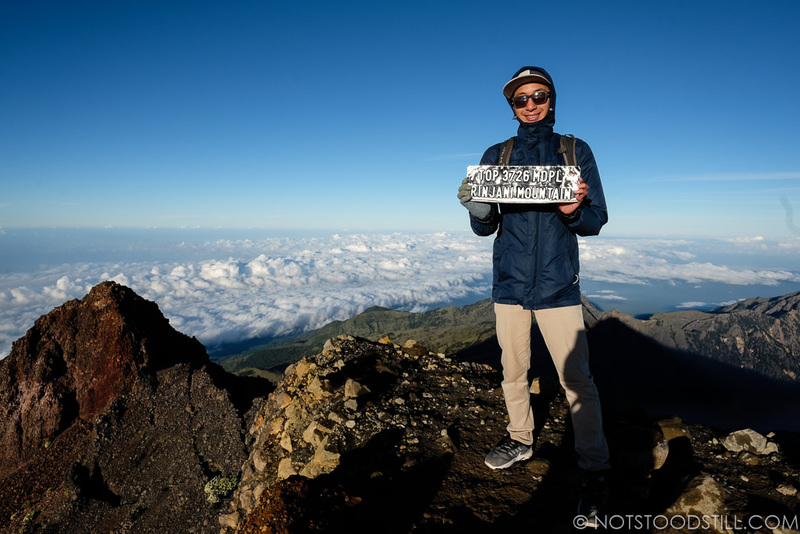 There is no need to book a trekking tour in advance, you are better to do once you have arrived in Senaru (giving you more flexibility and ability to negotiate on price). 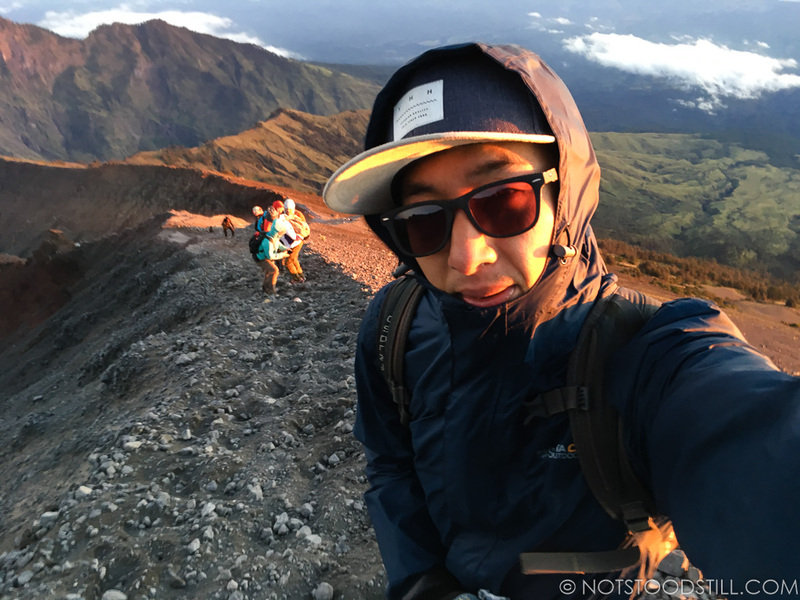 Allow enough days in Senaru in case a particular tour is booked up, though there are many trekking companies that do the same tour so do shop around. 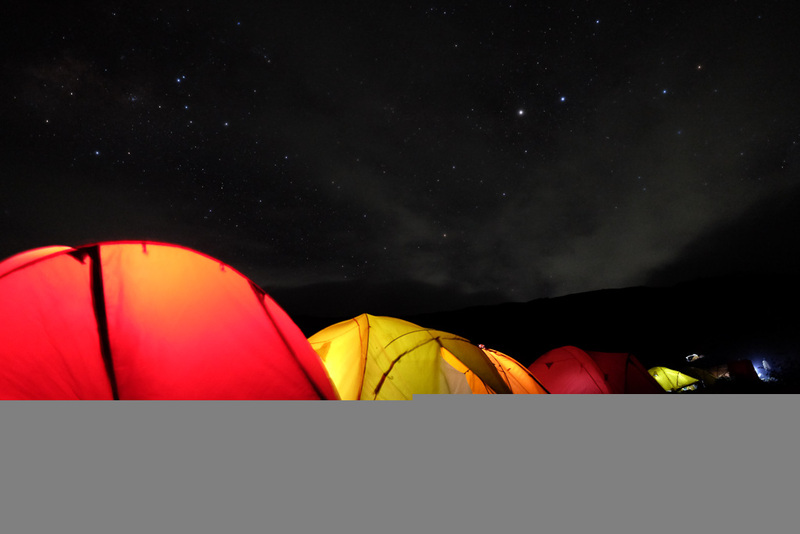 Read Tripadvisor.com reviews to help you decide which trekking company to go for. 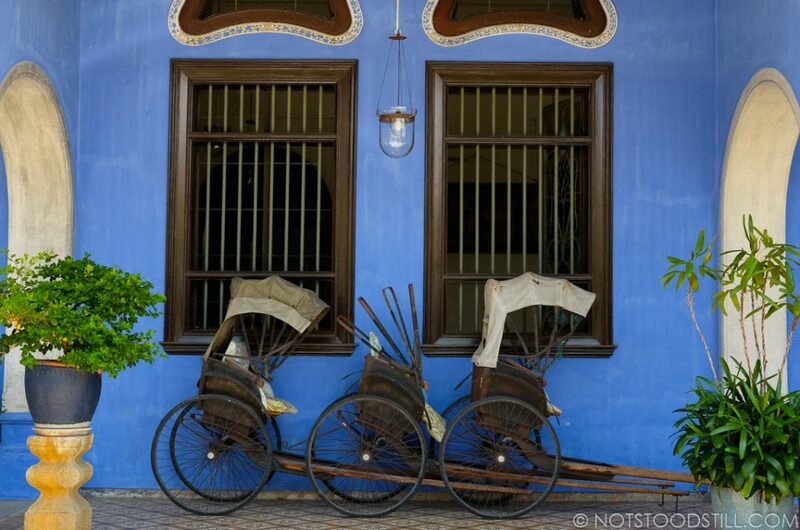 But good reviews do not always mean a good experience, ask other travellers for recommendations. 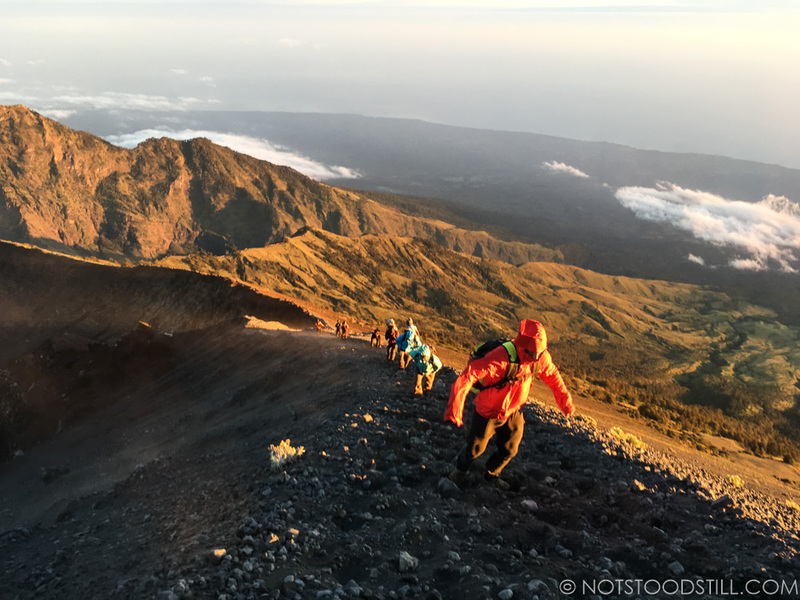 Your trekking company will advise what to bring and what to wear – the top of Mt. 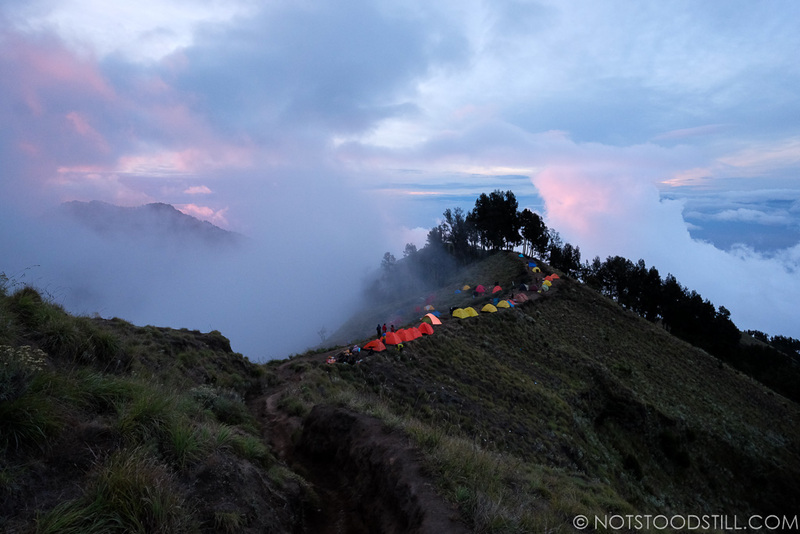 Rinjani was incredibly windy and cold in the morning – take a good waterproof jacket and layer up when necessary. 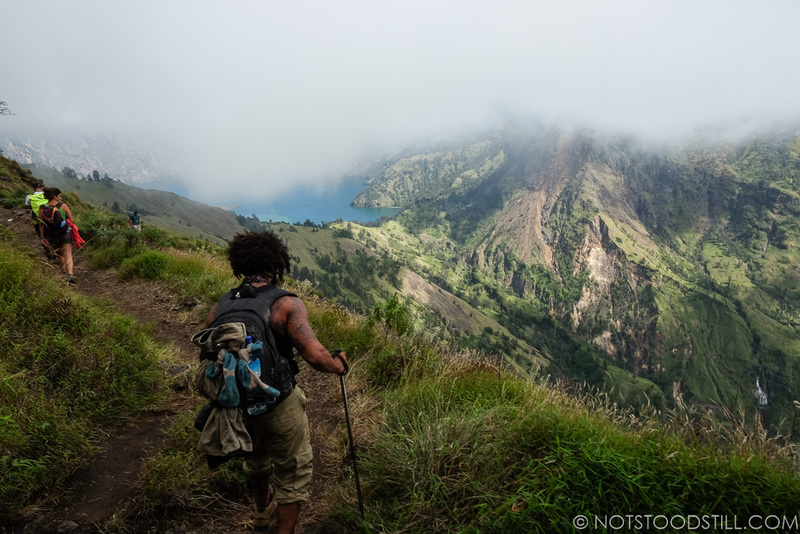 Gallery Preview below, to see more photos from the Rinjani trek click here. Rob Polyglot, bookworm and cook (in no particular order).